03 | August | 2015 | A . T . T . N ! Faculty Qualifications: Friend or Foe? I love the faculty qualifications area of Tk20. I like the way it looks. I like the way it functions. I like the displays. Finally, I like the PDP/PDR report that we have been building in the system. 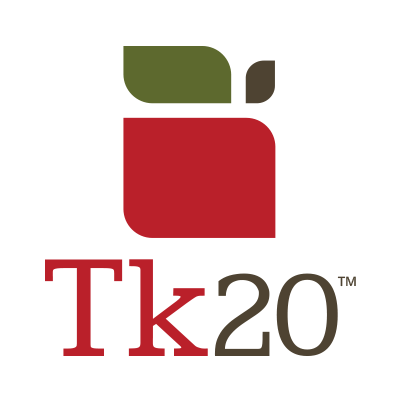 This electronic CV feature of Tk20 became available in Spring 2014. It was part of one of Tk20’s semi-annual upgrades. Realistically, it was built to capture and report qualifications to an accrediting agency—and, in fact, a few programs on campus have used it for just such a purpose! However, we saw a greater potential and application for the system on our campus. Given the regular reporting between faculty and Deans, we wondered if the system could perform that function, as well. Working with Tk20, we have created a PDP/PDR report that pulls information out of faculty qualifications for a date range that you specify. Working with faculty, we created categories that make the electronic CV function for as many people on campus as possible. We also asked TK20 to set safeguards in the system—individual faculty members are the only ones with access to his or her electronic CV. They are also the only individuals who can run, print out and share the PDP/PDR report produced by the system. For accredited programs with specific reporting needs, the system will allow the creation of a faculty roster (group). Aggregate reports can be run on that group, which provide information such as qualifications, research and service for an accrediting body. You are thinking: this all sounds great—what is the catch? The catch is the joyous self-exploration of manually entering information into the system. My advice is this: think about why you are using Faculty Qualifications. If you are using it to report your PDP/PDR, then just enter the requisite years of information (1-4). If you are using it for program review or accreditation reporting, then enter the information accrued since the last visit (may be 2 years, may be 10years). Once that work is done, then the issue is just one of maintenance. “For me the advantage of the faculty qualifications tab in TK20 is better organization. Now if I complete something that I want to mention in my PDP/PDR, or participate in an activity I should mention, I add it to this database. Then, when the deadline for my PDR sneaks up on me (as it always does) I have all of the information ready.